As Jussi Parikka describes, it is a subfield of media history that scrutinizes contemporary media culture through investigations of past media technologies and creative media practices. 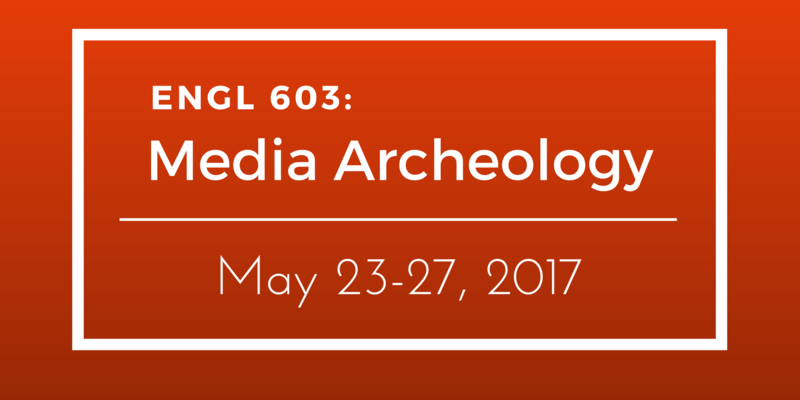 Media archaeology takes a special interest in recondite and forgotten apparatuses, practices and inventions. At an historical moment when our own media technologies become obsolete with increasing rapidity, the study of residual forms and practices provides valuable context for analysis, and perhaps the possibility for the emergence of something new. For more information, visit the Milieux Institute website.